She’s got the power! First Lady Michelle Obama graces the cover of ESSENCE’s October issue with a revealing interview highlighting ESSENCE and the First Lady’s shared commitment to women and girls around the world. In the article, The Leading Lady, she reflects on what she calls the “big, bright light” of her power as First Lady—and she shares her mission to impart her critical message to young women: that where she is now is attainable with hard work. She recounts her emotional trip to Africa, providing exclusive images for ESSENCE readers which document her various stops and what they meant to her personally. 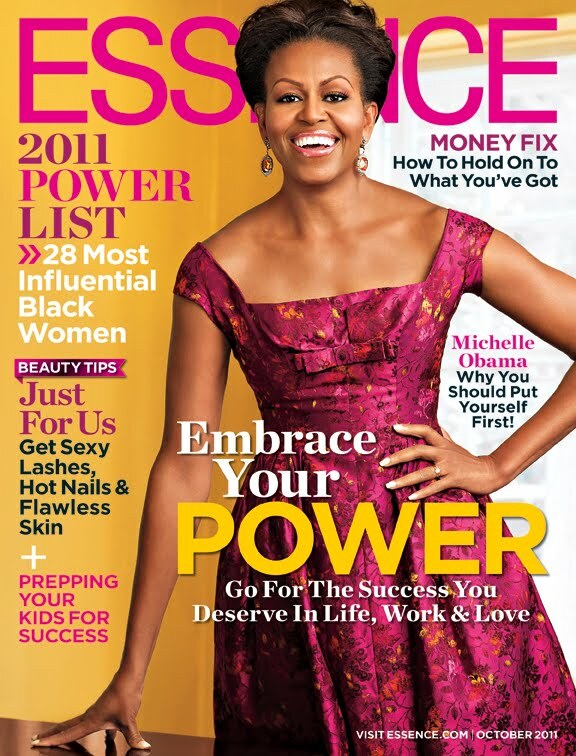 The First Lady is also fêted as one of the world’s most influential Black women on the magazine’s annual ‘2011 Power List,’ which features other top-ranking African-American women such as Oprah Winfrey, Valerie Jarrett, Iyanla Vanzant, Jada Pinkett Smith, Shonda Rhimes and more.